Well, I am totally exhausted, but it has been a great several days here in Florida. 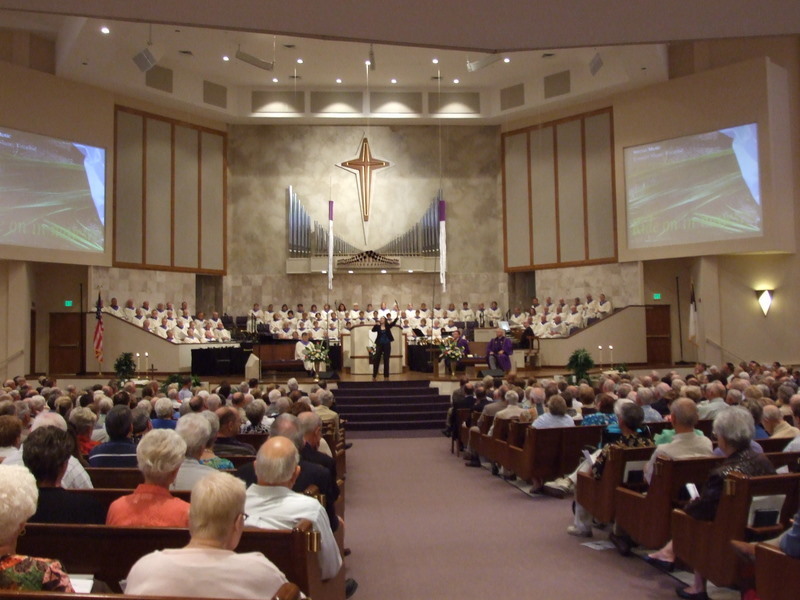 Yesterday, mom and I drove across the state to Tamarac, Florida and I did a concert at Lighthouse Covenant Church. This was very last-minute as well – when I realized I was going to have a free day, I called and they put this together very graciously and quickly. This congregation is so dear, and they were extremely supportive of us last year when we were there and needing support for our Kenya tour. I was thrilled to get to come back and give them an update and sing some of the music inspired by that trip! It was also wonderful to get to see our friends, the DeMarcos. One thing I will say for Florida – we seem to have friends in every corner, and it sure makes traveling so much nicer when you’re staying with people you love to be with rather than lots of hotels. On the way back, we saw the funniest thing! “Alligator Alley” is the stretch of 75 that runs through swamps across the southern end of the state. At a toll booth, there were these black birds sitting on the barriers between the lanes, and when I went to roll down my window, immediately two of them jumped in front of my window and just stared at me. Kind of freaked me out in an Alfred Hitchcock/ The Birds kind of way. So I did not put my window down, and as we were getting ready to pay, I saw the guy next to me roll down his window. Immediately this bird flew right into his window at his face and he was yelling and trying to push the bird back out and get his window up. When I got to the toll window, I rolled my window down two inches and pushed the money through and asked the toll booth guys what was up with the birds. “Well, they hang out and if you have a chip or anything they might want on your seat, they dive right in. It’s hilarious! It’s the best thing about this job! !” Well, okay then. This morning I got up early and went back to First Presbyterian where I sang on their morning services. Their choir did such an amazing job on their Palm Sunday piece – they literally made me tear up. Then this afternoon I sang a concert there. I was at this church last year, and was so struck by the excellence with which they do things – it was a pleasure to be back. Hope to see them often! This entry was posted on Sunday, March 28th, 2010 at 10:14 pm	and is filed under News. You can follow any responses to this entry through the RSS 2.0 feed. You can leave a response, or trackback from your own site.